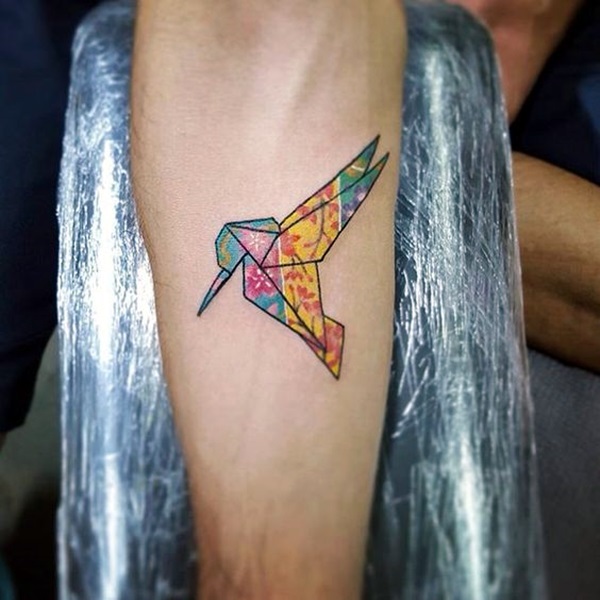 If you are a tattoo lover, we are sure that you will keep in touch with the latest trends going on in the tattoo world even if you are not actively planning to get that tattoo done on yourself immediately. 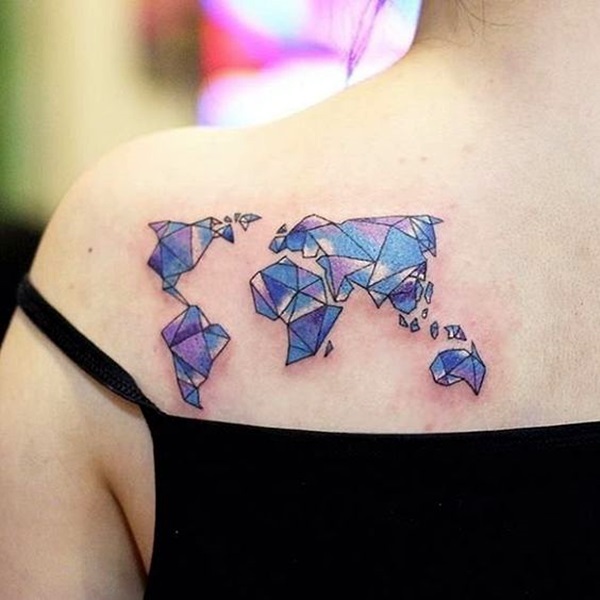 And if you are into tattoos, you would have realized, that there are a lot of tattoo designs and that you will never get bored of it if you are exploring them. 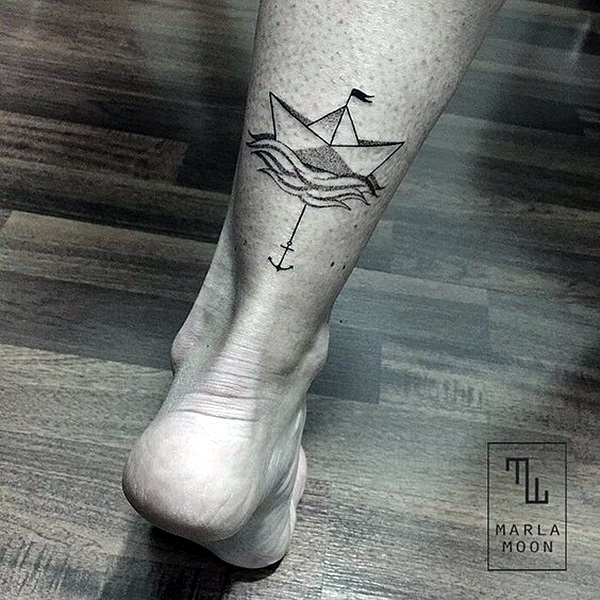 Ranging from so cute tiny fish tattoo ideas, to ripped tattoos, there is indeed a huge range when it comes to tattoo designs. 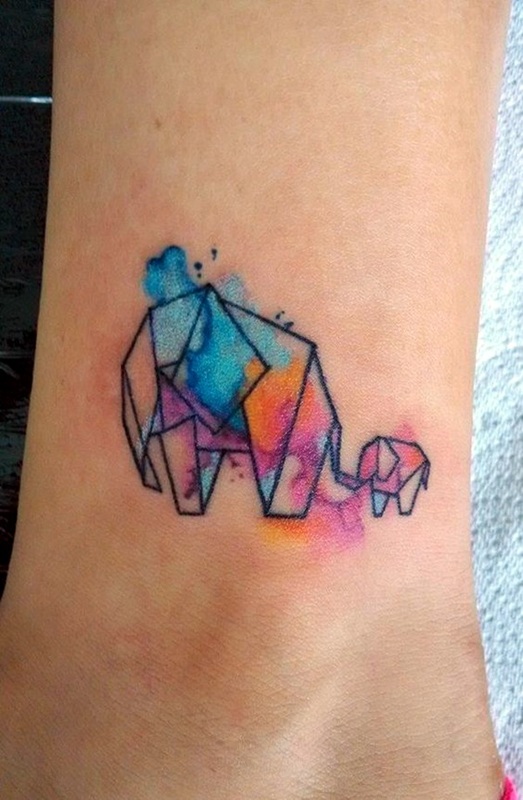 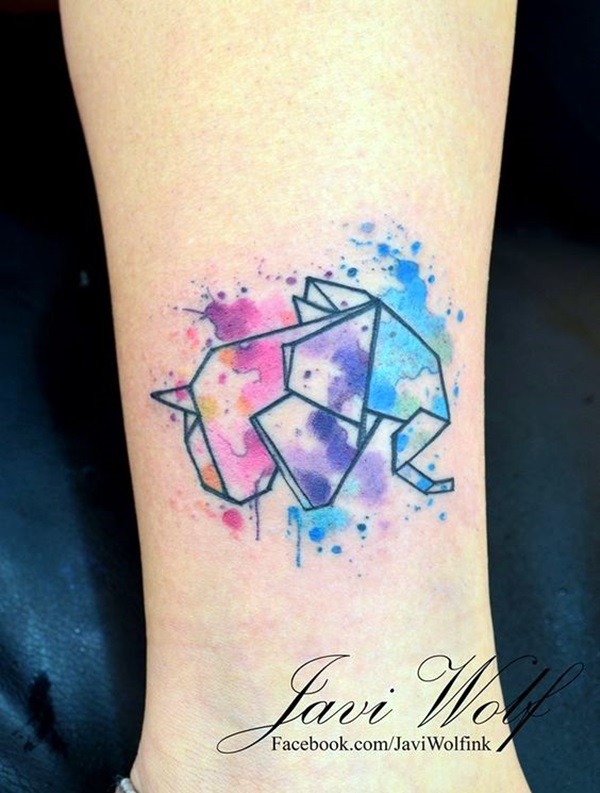 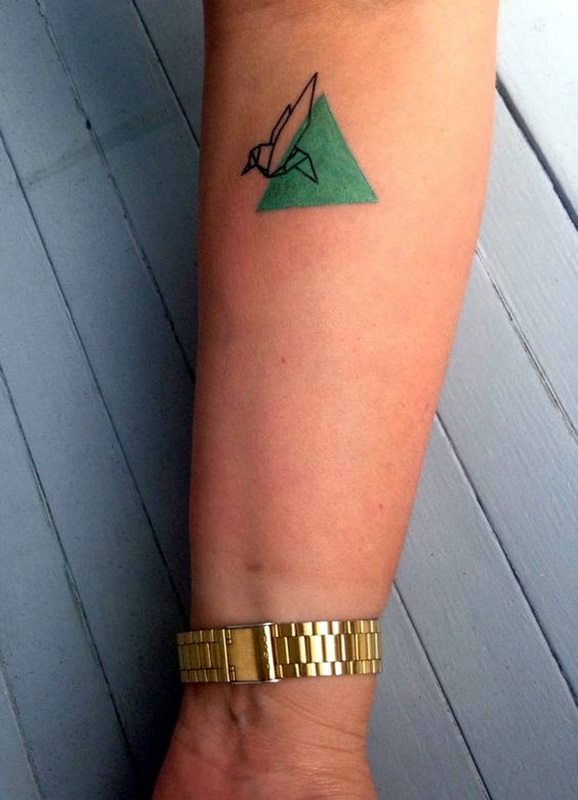 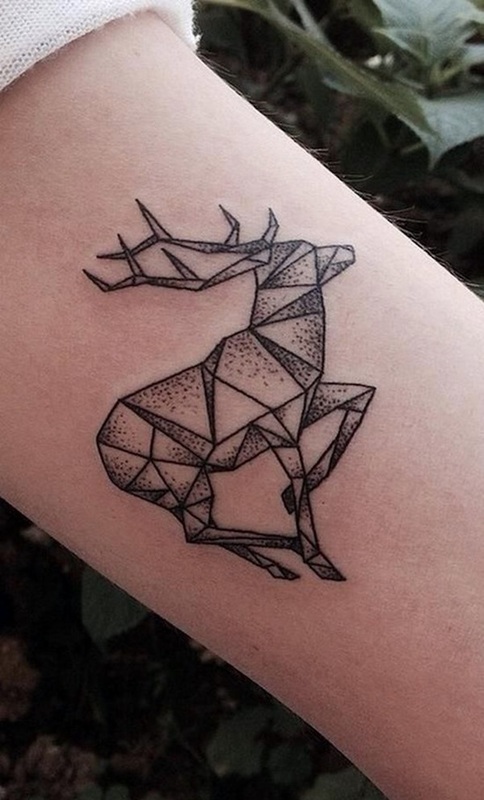 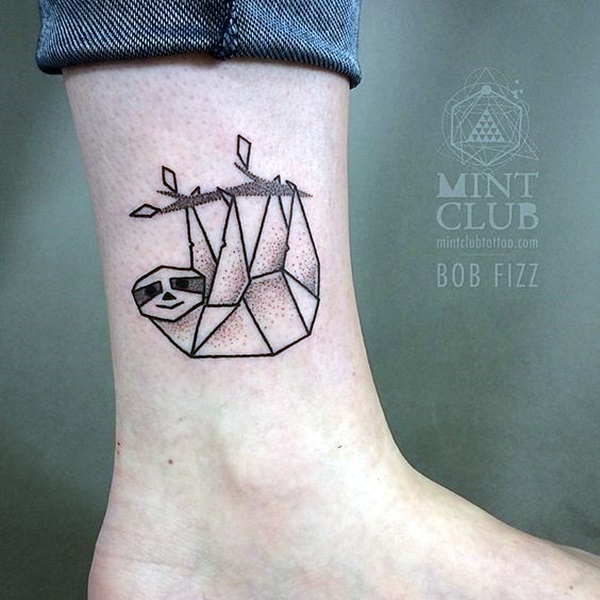 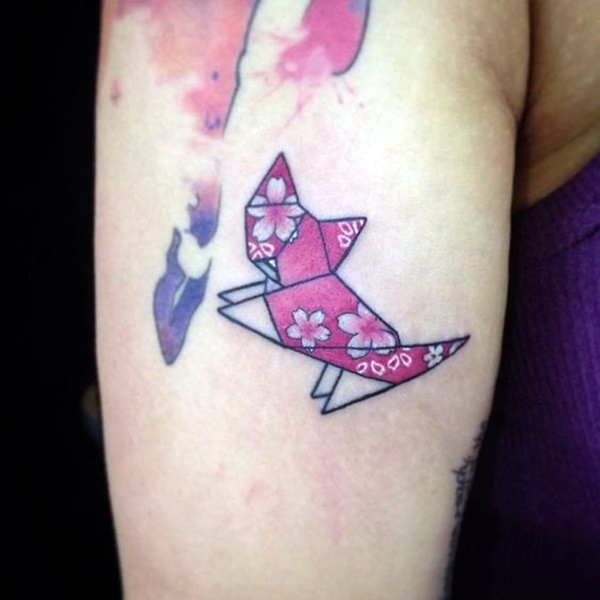 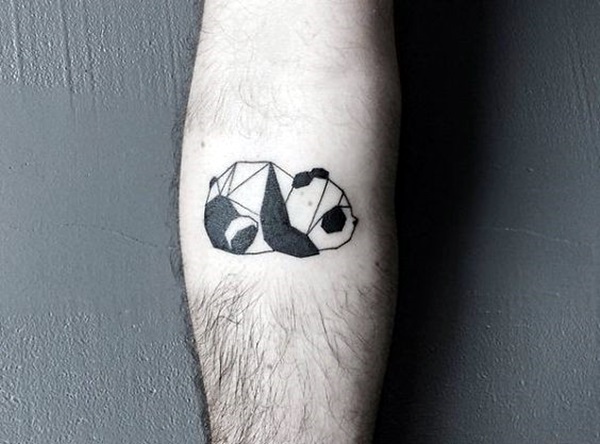 This article will look at lovely origami tattoo designs that are all the rage today. 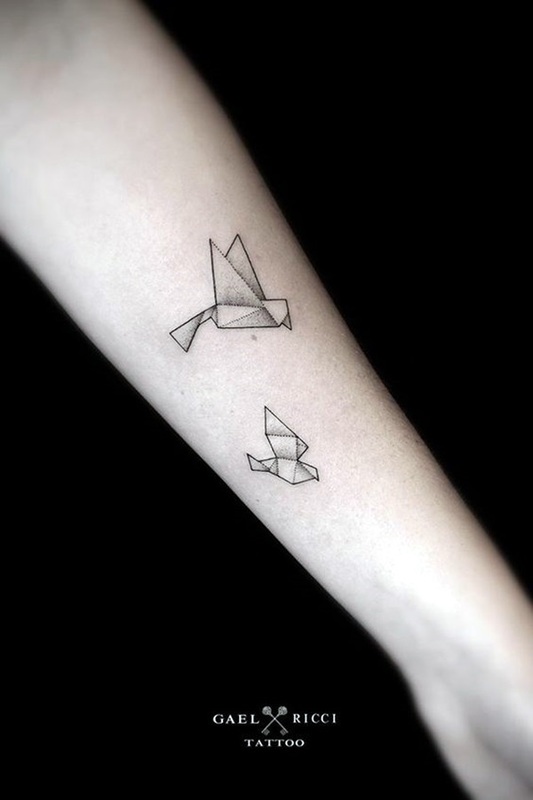 Origami as you may be aware is the art of folding paper to form many different things like birds, animals, structures, etc. 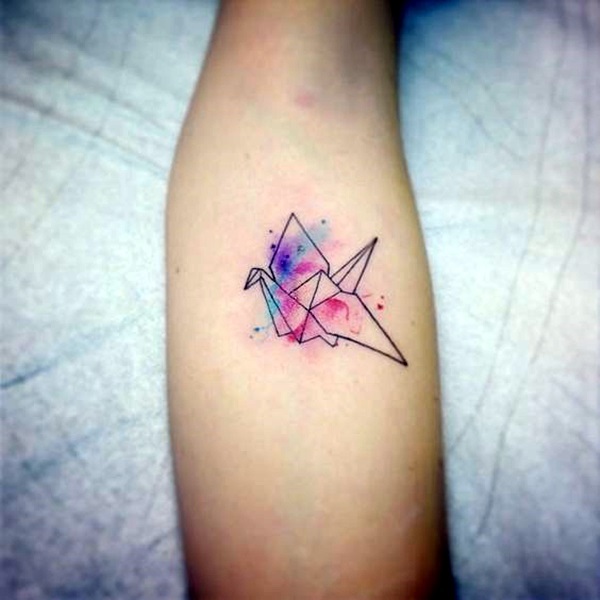 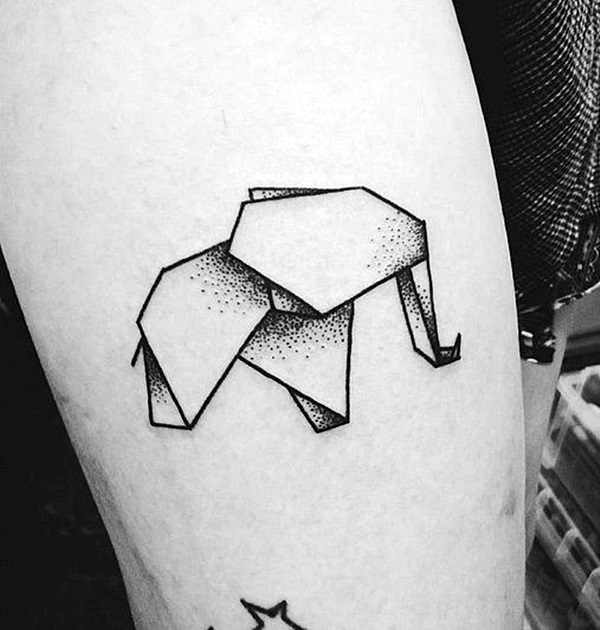 Whether your interest lies in tiny bird tattoos to admire or something really big like an elephant, there is a possibility that origami designs or effect can be used on this to give it a lovely twist. 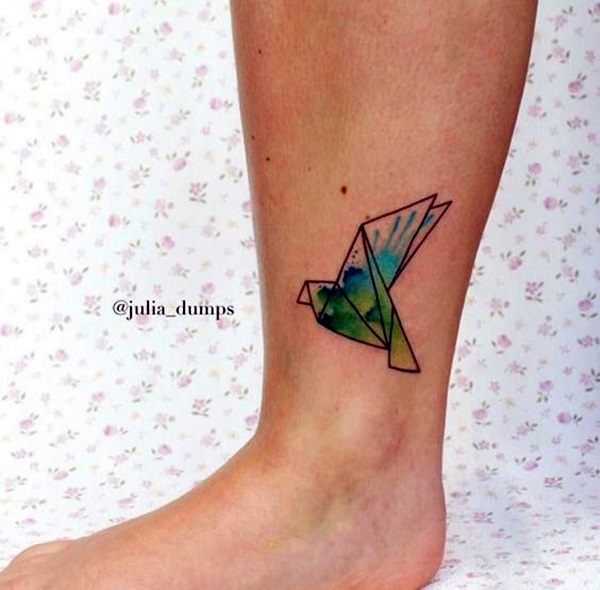 Many tattoo designs like that of birds, animals, flowers, etc. 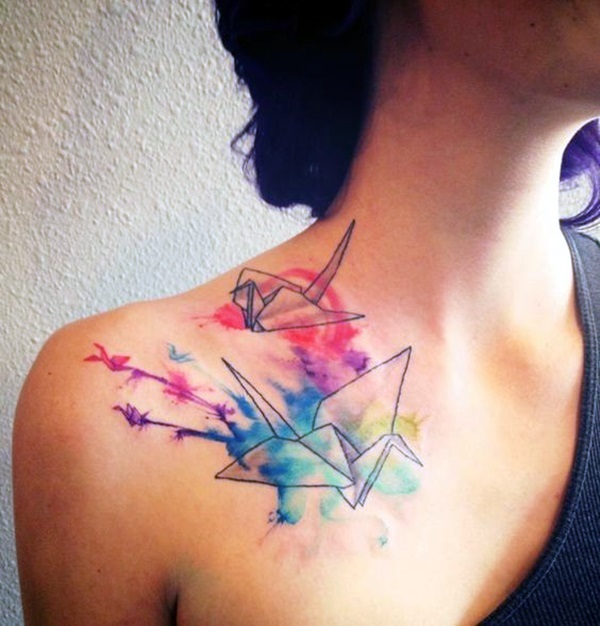 can be given the origami look but there could be certain restrictions. 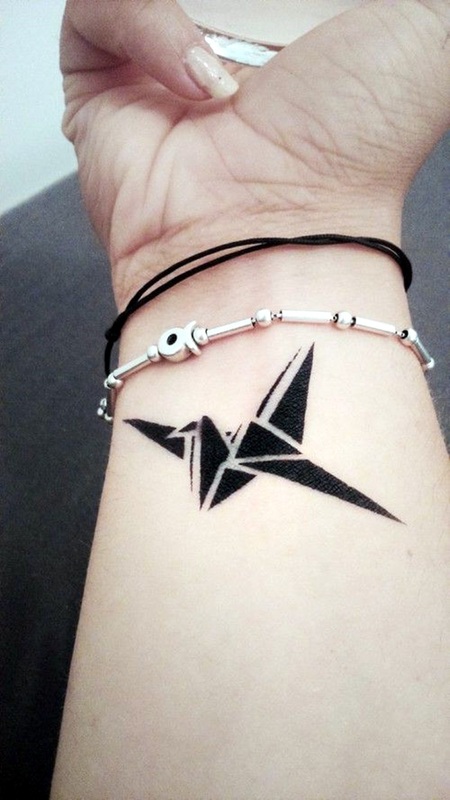 One cannot imagine big, brooding, and bewilderingly difficult to ignore blackout tattoos in the origami format. 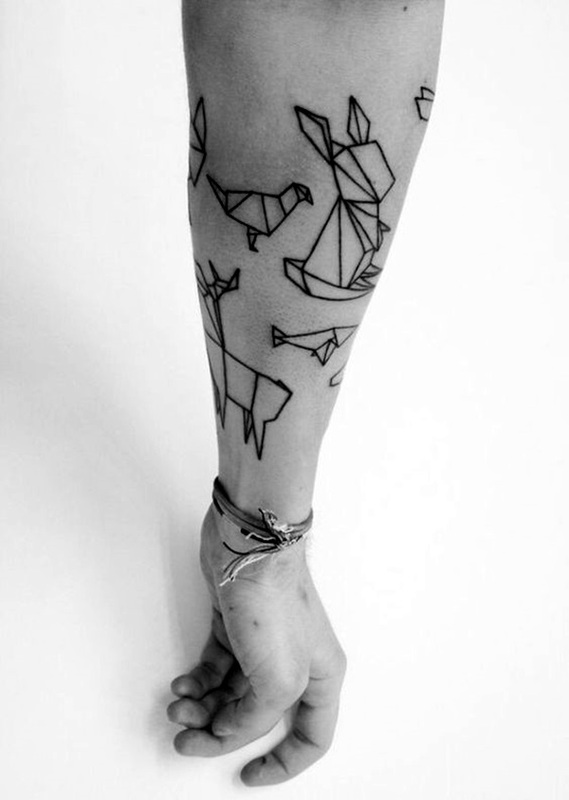 By now your mind must be pondering the significance or symbolism aspect of the origami tattoo designs lovely as they are. 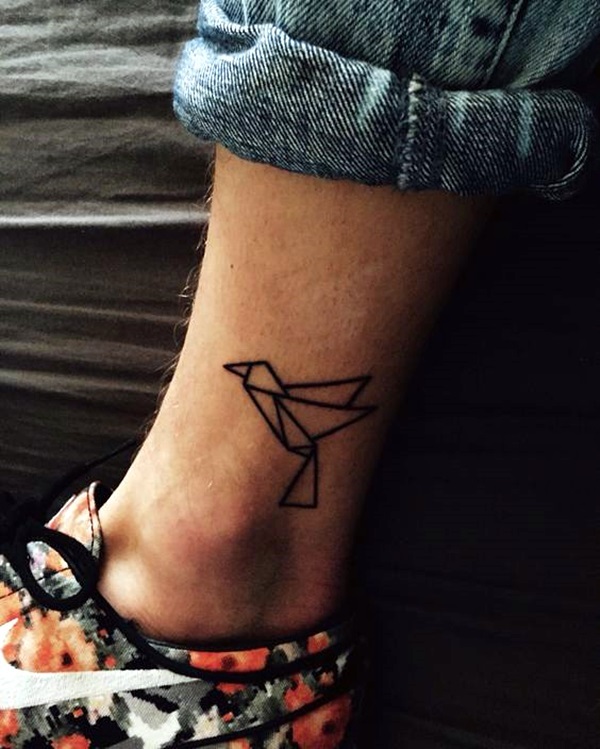 We all know that tattoos have a lot of deeper meanings to the person who gets them. 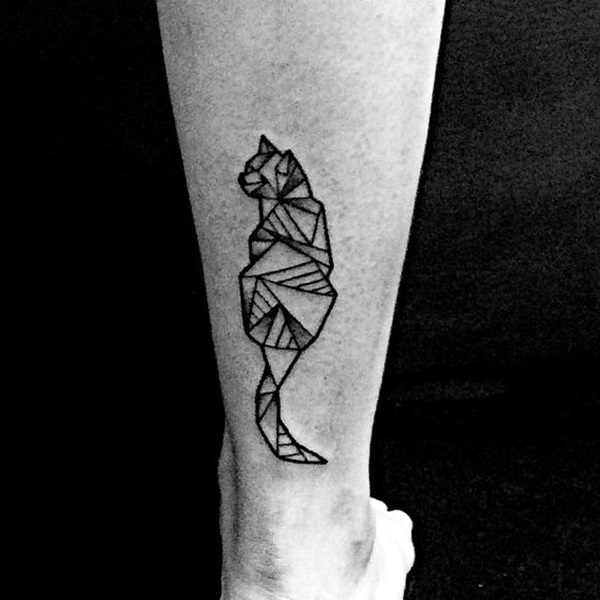 First of all, you should know that the oriental origins of this ancient art by itself lends a significance to these tattoo designs. 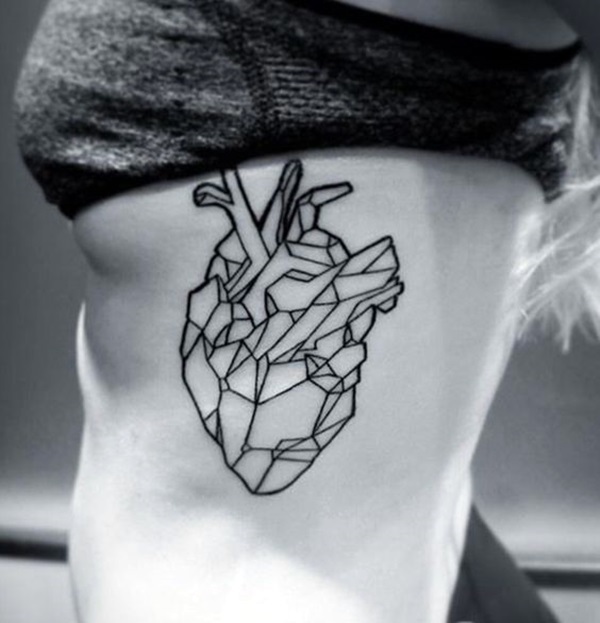 When you look at a mere piece of paper, one cannot imagine the kind of intricate and elaborate designs that can be made out of it. 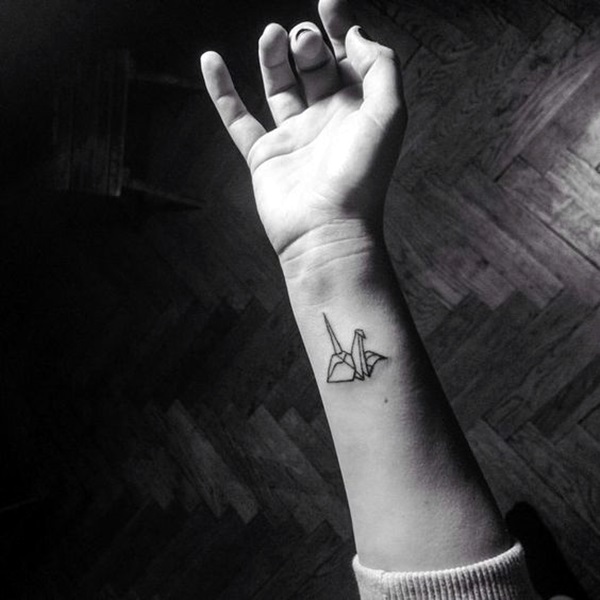 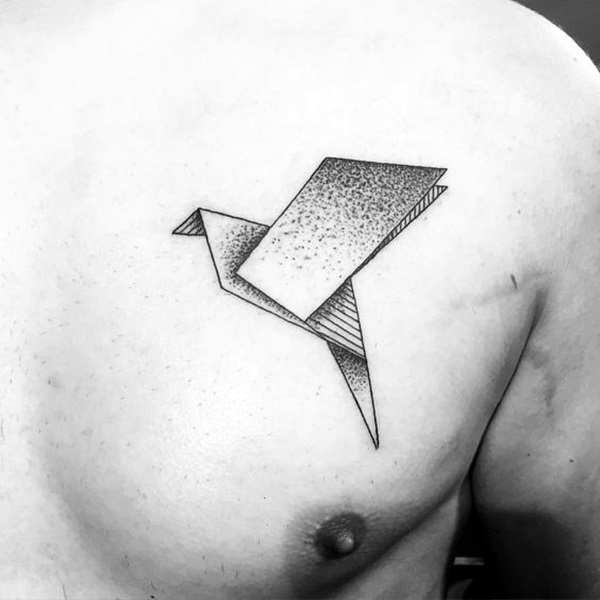 There is a dual aspect to this tattoo as it not only carries the significance of the figure that is created using the paper as well as the significance of the folded paper itself. 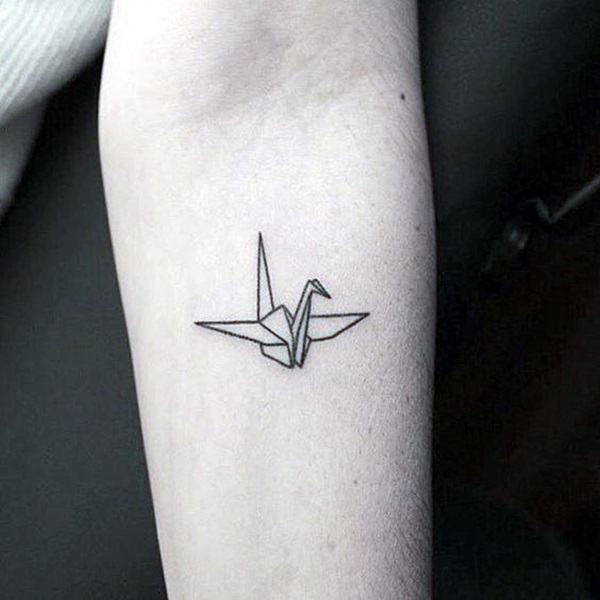 As we know that paper though not a delicate material is not something that lasts forever and that is the nature of our lives. 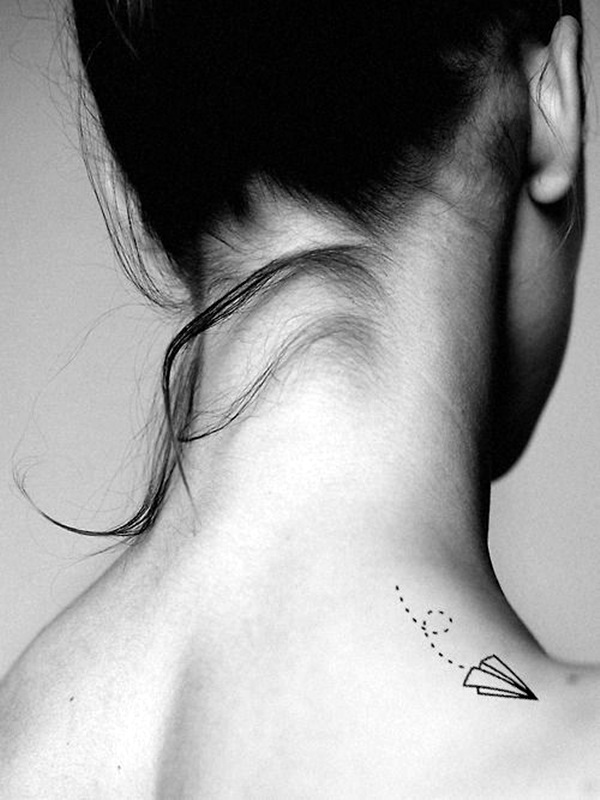 While we are not delicate, none of us can hope to last forever. 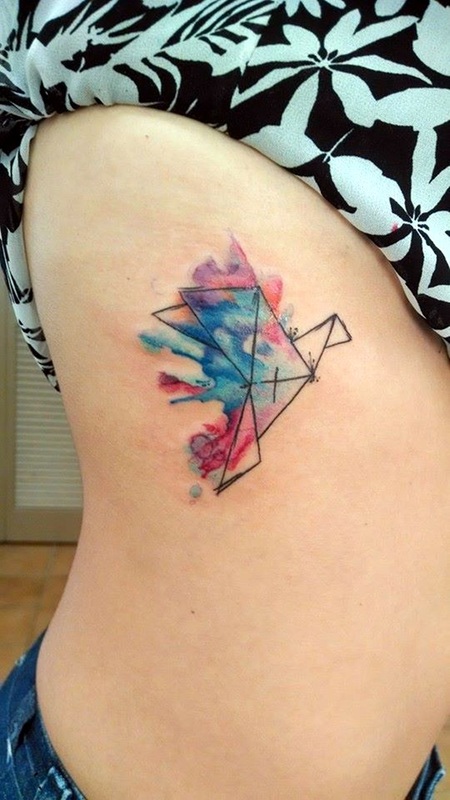 Many a times, you will see that people who are aware of this truth are the ones who get this tattoo done. 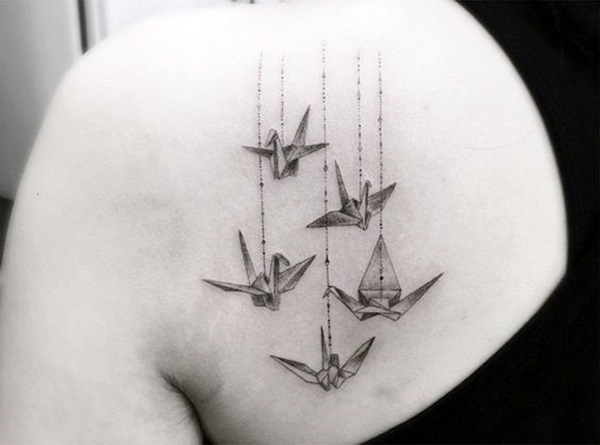 That, and the fact they are into the study of oriental arts and philosophies. 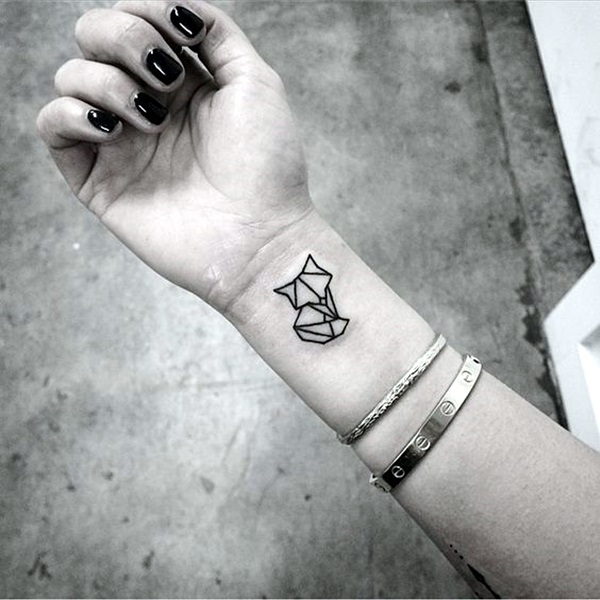 Here are some of the significance that is given to various motifs. 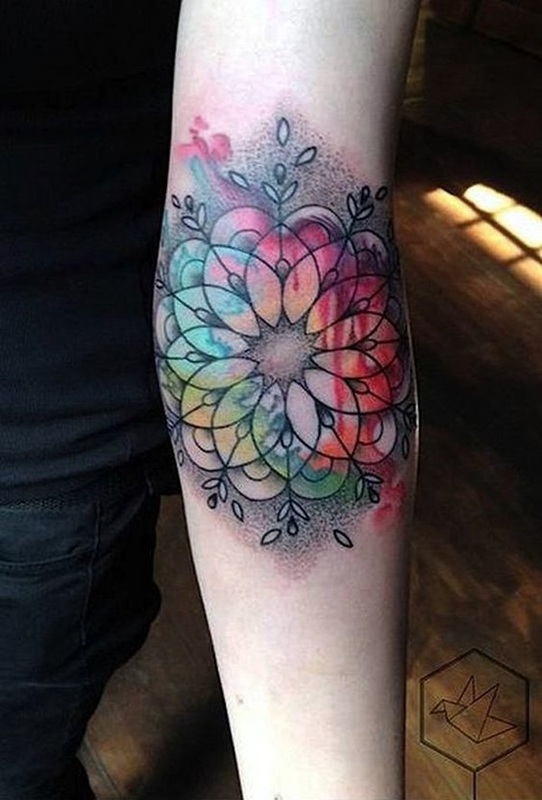 Flowers symbolize beauty that does not last forever but is nevertheless pleasing in its purity and ability to revive our senses at many levels. 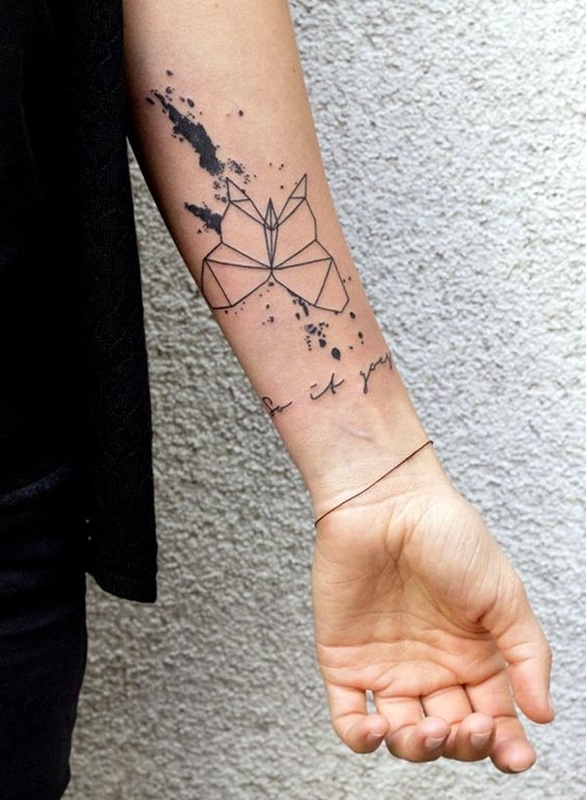 Zhuravel on the other hand means living in peace and trying to be nice to other people and the butterfly means the delicate nature and the ability to keep evolving to become something beautiful. 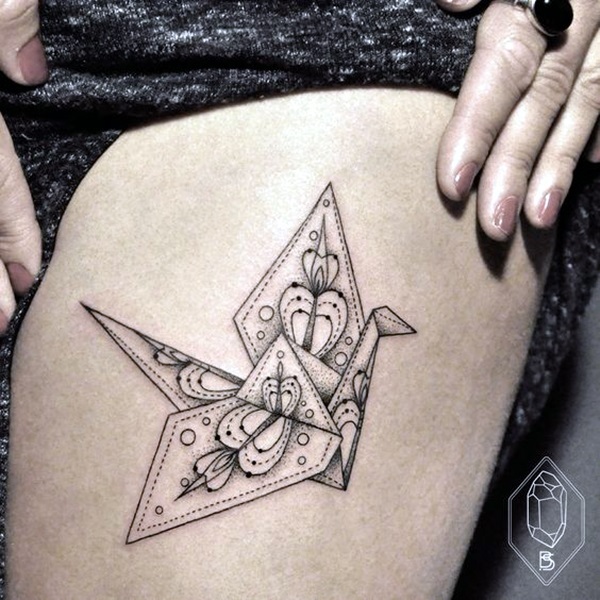 When you study the amazing images of origami tattoo designs that we have given here, you can immediately grasp the skill that has gone into creating them not to mention the imagination and perseverance. 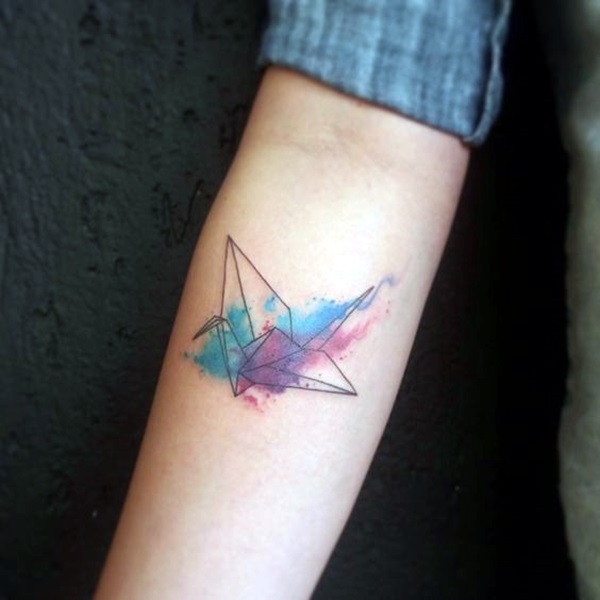 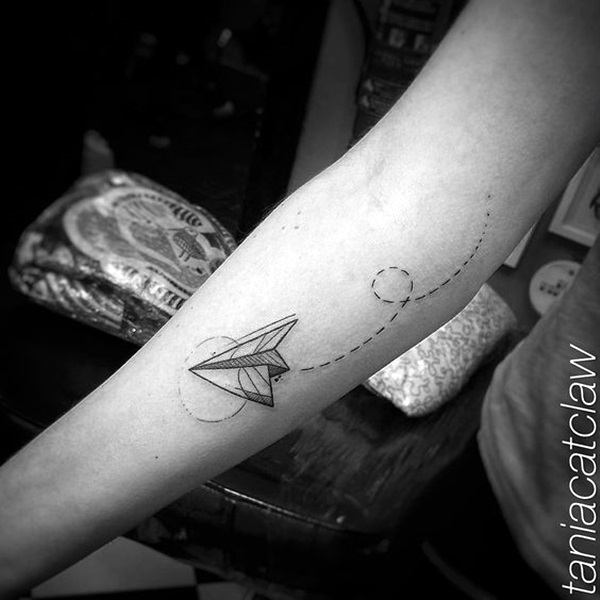 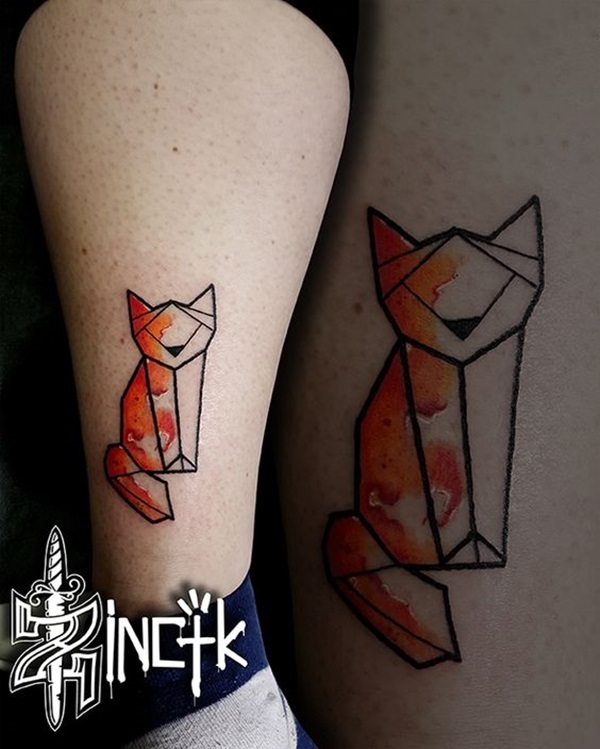 The thing about origami tattoos is that both genders tend to gravitate towards them with men going for the bigger and more masculine motifs and women going for birds, animals and floral designs. 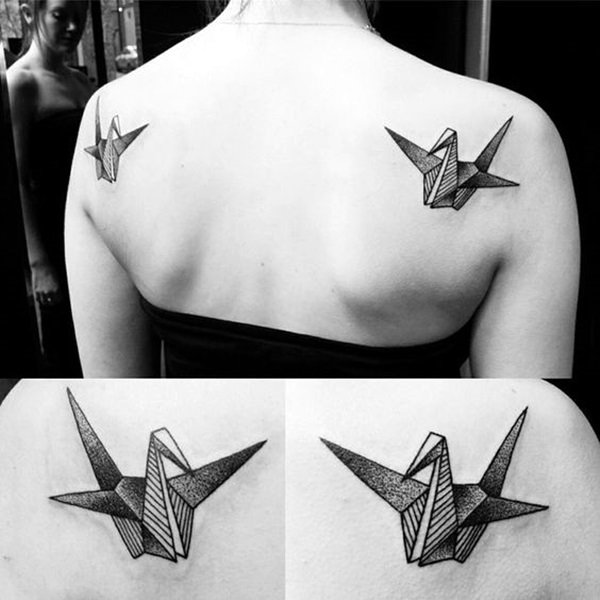 Some feel that all origami tattoos come into their own when done in black ink as it has certain purity and highlights the complete form. 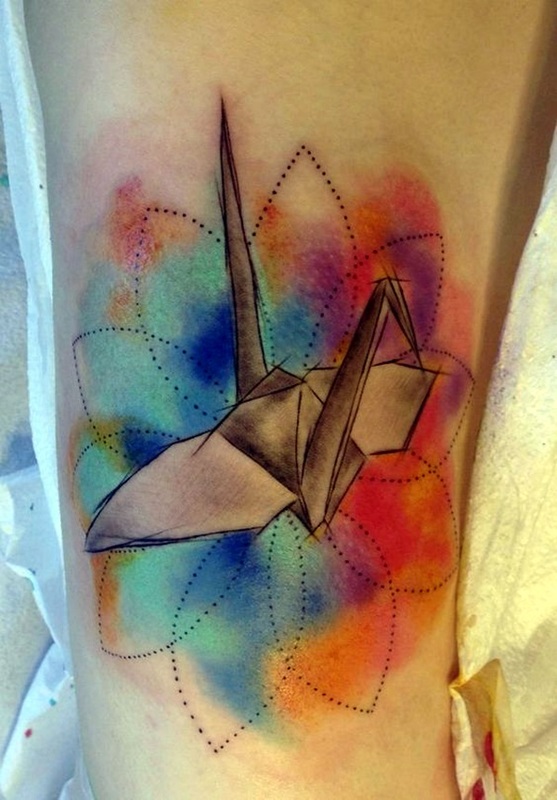 No matter where you get an origami tattoo or what the size or design is, it is important that you consider all angles before going for it. 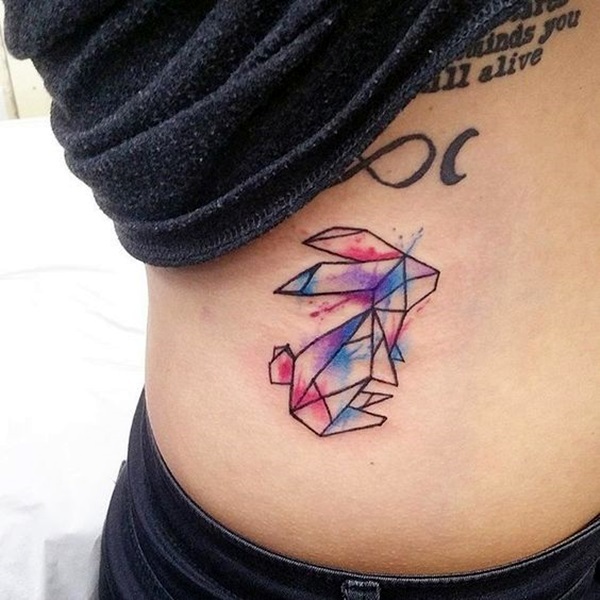 After all, in the real estate of your body, your tattoo is going to be a permanent resident and will affect many aspects of your life though you may not think so at this point of time. 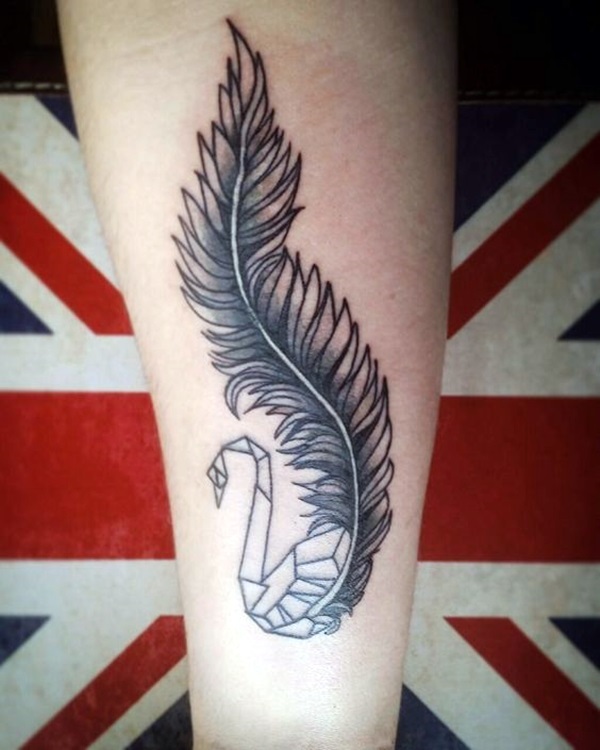 What most people do not realize when they are getting a tattoo is that not only is the significance of the tattoo to you important but also the impact it can have on your personal, official, professional and social life. 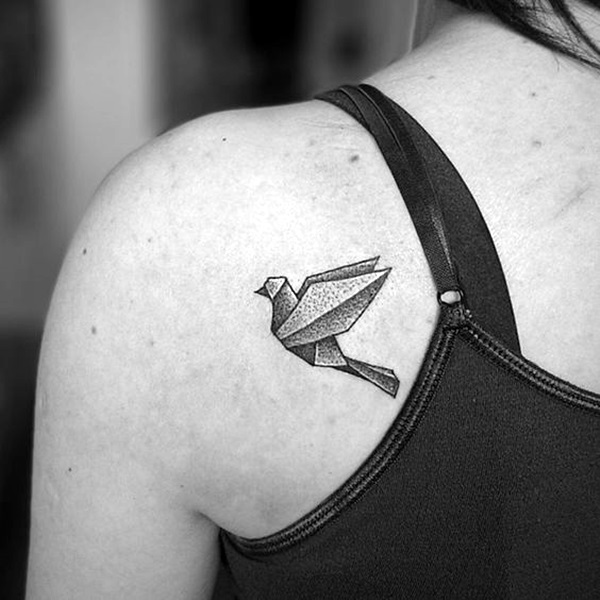 They also refuse to make a provision for how the tattoo will fare with the process of their skin aging. 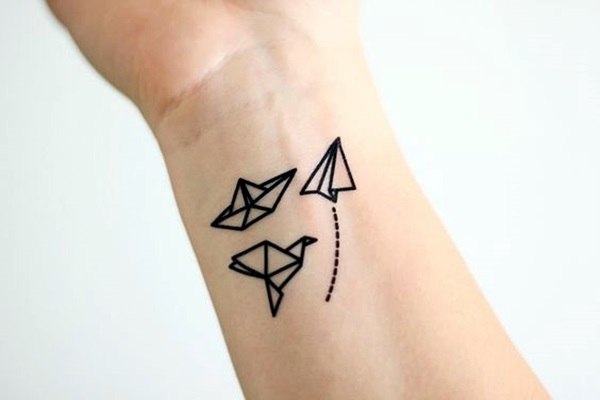 We feel that we are duty bound to mention these points here as you need to think about these points before proceeding with your decision for a tattoo.